After only two books featuring Federal Agent Aaron Falk, Jane Harper turns her attention – and her pen – towards a gripping stand-alone. Rather than diminishing her brand, this unusual move solidifies her ranking as a superstar within the crime fiction genre; The Lost Man may just be her best novel yet. Any sadness fans feel when they realize that this book doesn’t continue the previous series will be short-lived as Jane Harper wastes no time in proving that she is capable of telling any tale in a compelling and addictive fashion. At its core, The Lost Man is the story of the Bright brothers – three very different men sharing the bond of blood, the undeniable connection of kinship. Nathan Bright, from whose perspective the novel is narrated, is the oldest; while Bub Bright is the youngest, by a significant margin. In the middle is – or rather was – Cameron Bright. As the novel opens, Nathan and Bub are standing over Cameron’s body, found at the mysterious, old stockman’s grave, a legendary location feared by local children and one that has long baffled the rest of the community. It appears as though Cameron abandoned his car and became lost and disoriented in the Australian Outback, ultimately succumbing to the harsh environment, but when his vehicle is found stockpiled with plenty of food and water to keep a person alive for days, the question becomes: why would Cam leave the safety of the car to wander alone into the desert? Cameron is not the only “lost man” in the story. His older brother, Nathan, is lost in a very different way. He lives alone on his homestead after his wife divorced him and took his son off to live in Brisbane. He rarely ventures into the local town limits because every resident, for reasons the reader will eventually discover, despises him. Even his own family begs him to keep in contact on the radio system, so that they can be sure he is still breathing. Nathan is floundering and the death of his brother will either be the final nail in his own coffin or the source of his redemption. Or maybe, both. The Lost Man covers a very tight time-span, just a few days right around the Christmas holiday. The tragedy requires the entire family to gather at Cam’s homestead to work out details of what happens next. His wife, Ilse, is likely to inherit the land, but since it connects with property owned by the other brothers, Liz, the matriarch of the family and Harry, a long-standing handy man, hope that everyone can manage to set aside their differences and work together for the good of all. Also roaming the house and property are Nathan’s sixteen-year-old son, Xander, who is visiting for the holiday and a young couple of backpackers, Katy and Simon, who have been helping out around the ranch for a few months. 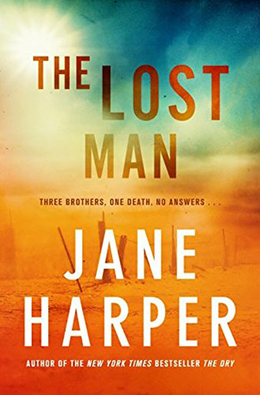 One of the major strengths of The Lost Man – and believe me, there are many – is Jane Harper’s ability to weave together past and present. Unlike some novels where the writer devotes whole chapters to the actions of yesteryear, Harper employs a very different and much more realistic method. As Nathan recounts the present-day action, certain events or objects reverberate in his mind, making him remember scenes from the past. Just as happens in the human mind, these reflections are not separated from the main narrative – instead appearing as stream-of-consciousness diversions from which Nathan eventually needs to be startled. This all makes the plotting of The Lost Man extremely complex. Readers will become invested in the characters and as revelations are made and alliances shift, it is hard to know how all of this will be resolved. This is no standard mystery in which discovering what happened to the dead body is the end-goal; this is a book with a series of interconnected questions – some of which readers don’t even know they should be asking until it is too late – and how those pieces slowly fall into place is a thrill to behold. So much of the information readers need is there all along, but Jane Harper skillfully diverts attention to such a point that in the end, real surprises abound – not in the form of manipulative twists, but rather as organic outgrowths of deep character development. Wherever Jane Harper goes next, I will be first in line to follow her there. It is rare that an author can build this type of reputation so quickly. If ever there was an example of a born storyteller, Jane Harper is it. Jane Harper will be on tour in the US in February. Here is the schedule. I will be at the Washington, DC event at Politics and Prose. I cannot wait! I absolutely loved this book, besides it being so unsettling. I find small town life creepy with all its secrets and then couple with the expanse of the outback, creates so very much tension. I have liked every one of Harper’s books but I think this may be my favorite. I agree Frances. I think each one has been better than the previous one. And she started very high already with The Dry. She’s easily my favorite new-ish author. 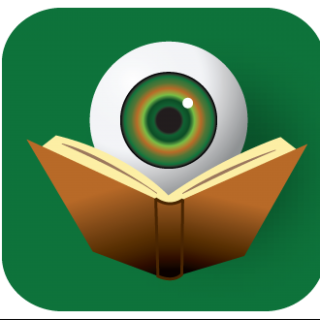 Sounds so good – now I have three books and a new author for my TBR. Thank you, Kristopher! The two series books are really incredible. And then this new stand-alone takes it all to another level. You are in for some great nights of reading!